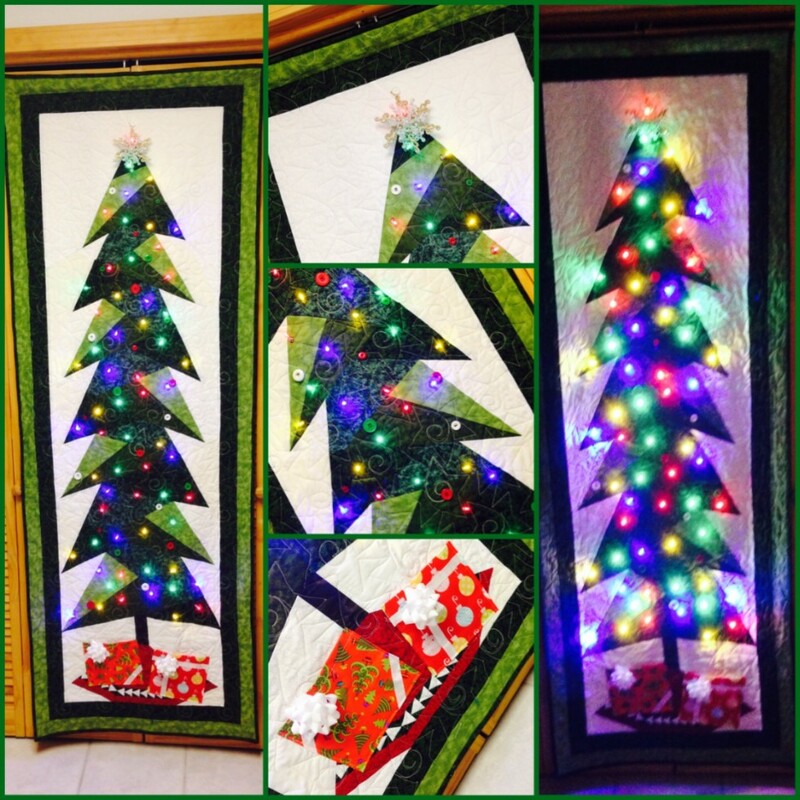 This is a paper pieced Christmas tree wall hanging. It is sized perfect for a standard door in width and length. I modified the pattern by adding "gift" pockets to the bottom, and button holes to insert battery operated LED lights from the backside. It worked wonderfully for a countdown to Christmas (buttons for hanging one ornament a day in December) as well as a great spot to put Christmas cards from friends and family.